Trying to bounce back from a 15 percent decline in profit last year, McDonald’s, the world’s largest fast food chain, is trying to stay nimble in knowing customers’ changing desires with innovative ideas such as all-day breakfast and even table service. The company plans to test offering breakfast all-day in some locations in San Diego, California starting in April. Customers have been demanding breakfast all day for a long time to keep pace with changing work habits. However, the company has previously said that it would be logistically impossible because of tight kitchen spaces at the franchises. 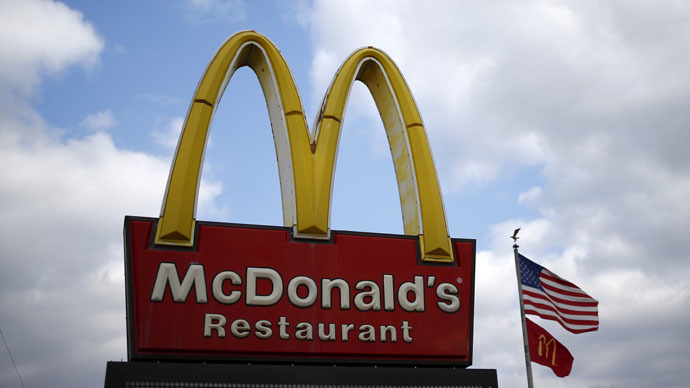 The pilot announced Monday will include a limited menu of popular breakfast sandwiches and hash browns, but McDonald’s has not said which items will be included. “We know our customers love McDonald’s breakfast and they tell us they’d like to enjoy it beyond the morning hours,” McDonald’s said in a statement confirming it will test all-day breakfast “at select restaurants in the San Diego area”. America’s new habit is to eat breakfast out instead of making it at home – a trend that has been noticed and adopted by Starbucks and Taco Bell. In Germany, meanwhile, the company is test-piloting table service at Frankfurt Airport, where customers can place an order with a waiter, at the front counter or in a digital kiosk, and be served at a table. “This is completely new for McDonald's,” said Thomas Brand, the company’s head of development and restaurant innovation for Germany, according to Reuters. The restaurant has more than 500 seats and the company hopes it will boost its image in Germany as a “modern, progressive burger company,” where poor sales contributed to a 1.1 percent decline in the fourth quarter. McDonald’s has also been experimenting with making foods personalized to customer’s tastes as a way to remain popular and compete with other chains like Chipotle Mexican Grill and Shake Shack. A recent pilot called ‘Build Your Burger’ was launched in four locations in Southern California, where customers selected on in-store iPads which items to accompany their burger. The pilot, now called ‘Create Your Taste,’ has been expanded to 30 stores in five states: Georgia, Illinois, Missouri, Pennsylvania and Wisconsin. The service charges $8.00 instead of the customary $5.00. McDonald’s, like many other fast food outlets, has a target of a national, highly-publicized labor movement trying to raise the minimum wage of its workers to $15 an hour. And like many fast food outlets, it has been under pressure from health campaigns. It recently announced it was ditching antibiotic stuffed chickens. Perhaps taking a cue from the effectiveness of the mass mobilizations against the company’s low pay, McDonald’s declared a global ‘day of joy’ and held a series of events in cities across the world last week. Designed to build loyalty with millennial customers, the ‘I’m lovin’ it 24’ campaign featured a giant ball pit in Sydney, a pajama party in Milan, a drone selfie in Dubai, a pop-up library in Paris and a free Ne-Yo concert in Los Angeles. The company is estimated to have spent $30-40 million on it, according to Buzzfeed.